PT Bank Negara Indonesia (Persero) Tbk - BNI or referred to as "Bank BNI" is the fourth largest bank of Indonesia in terms of assets. the As of the end of September 2015 (3Q-2015), Bank BNI’s assets amounted to Rp456,463 billion, according to Bank BNI's Public Expose Financial Performance the third quarter of 2015 as cited by JobsCDC.com. This total assets up 11.9% from Rp408,047 billion at the end of September 2014 (3Q-2014). Bank BNI is a state-owned bank which is majority owned by the Indonesian government. 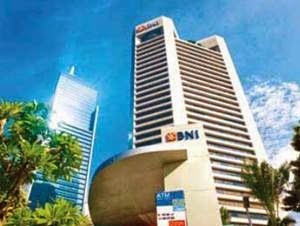 At present, Bank BNI — whose shares are traded on the stock exchange/IDX under the code BBNI — is 60% owned by the Government of Indonesia and 40% by general public and investors (11.29% by domestic investors and 29.71% by foreign investors). Bank BNI is based in Jakarta and has its business activities focused in personal banking, priority banking, business banking, international and treasury. Operations are supported by a total of more than 1,775 domestic outlets and 6 overseas offices located at Singapore, Hong Kong, Tokyo, Osaka, London, and New York. Graduated from S1 or S2 in all departments from a leading universities. S1 : minimum 2.75 (PTN) or 3.00 (PTS) from 4.00 scale. S2 : minimum 3.25 from 4.00 scale. Maximum age of 26 years old for S1 graduates and 28 years old for S2 graduates. Able to speak English and operate computer (Microsoft Office). Willing to be placed in all working units of BNI throughout Indonesia. JobsCDC.com now available on android device. Download now on Google Play here. Please be aware of recruitment fraud. The entire stage of this selection process is free of charge. PT Bank Negara Indonesia (Persero) Tbk - RM Officer Development Program BNI March 2016 will never ask for fees or upfront payments for any purposes during the recruitment process such as transportation and accommodation.